Key tender winners were Vestas and Siemens Gamesa, together with Spanish companies Ingeteam, Tamoin and IM Future, and the Portuguese company Efacec. Strict criteria based on safety, technical expertise and commercial competitiveness were used for the award. The framework agreements have a combined value of €110 million and duration between two to three years, depending on the type of services which have been allocated. Negotiations for this tendering process took place over the past six months and the key winners are Vestas and Gamesa who will carry out preventive, predictive and corrective maintenance for 2,190 MW and 1,265 MW respectively at wind farms in Spain and Portugal. 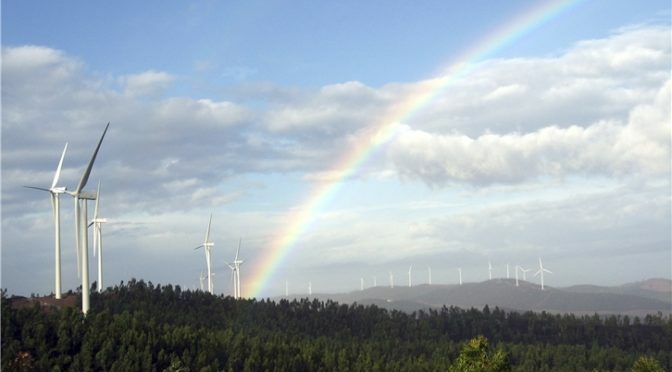 In addition, Iberdrola will hire the services of Basque companies Ingeteam (233.3 MW) and Tamoin (421 MW), the Galician company IM Future (218 MW) and the Portuguese company Efacec (96.9 MW). All the facilities asubject to the framework agreements are equipped with Gamesa G4X, G5X and G6X wind technology. Iberdrola tendered two types of services: basic maintenance, for a two-year period, and the risk service for three years which includes preventive and small corrective maintenance in addition to consumables, spare parts and predictive maintenance of oil use. Iberdrola is the leading wind power operator in Spain, with 5,507 MW installed capacity at year-end, while owning 92 MW in Portugal.